When you are dehydrated, you are not as alert, and your concentration levels are low. Recent studies by the University of Loughborough have revealed some extremely startling results. When you drive when you are dehydrated, you may be twice as likely to make an error as if you were fully hydrated. This could mean that driving while dehydrated is as dangerous as driving while under the influence of alcohol. When you are dehydrated, you are not as alert, your concentration levels are low and you are not as capable of making a decision as when you are fully hydrated. Your brain needs to be well hydrated in order to function correctly. When we are dehydrated we are often tired and may suffer from a headache. It can also make us irritable. Judgement and short term memory can be impaired too. Our St. Louis car wreck lawyer explains that when the weather is hotter, we need to drink more fluids in order to remain fully hydrated. The study at Loughborough University concluded that driving dehydrated was comparable to driving with an alcohol level of 0.08% which is the legal driving limit in the US. 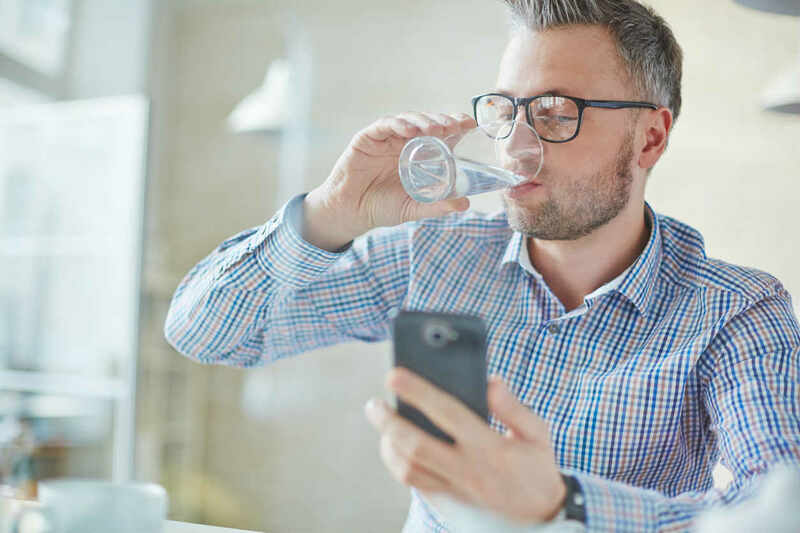 Some experts recommended that to maintain optimal hydration levels, men should drink around 13 cups of fluid each day and women should drink 9 cups of fluid daily. If you struggle to drink lots of water, don’t worry. All fluids count. Juices and milk, tea and coffee. If you still find it hard to get enough fluids on a daily basis, why not have a bowl of soup for lunch, or for a starter before your main meal? You can also choose high water content foods such as fruit and salad vegetables. Cucumber, lettuce, bell peppers, tomatoes and the like all contain lots of water. One good tip is to always take a bottle of water with you wherever you go. If you feel thirsty, if the temperatures have risen and you’re feeling hot, then you can always hydrate yourself quickly. Many people say that they avoid drinking fluids before a long car ride, as they don’t want the inconvenience of having to stop to use the bathroom. However, by doing this you are putting yourself at risk of becoming dehydrated and thus increasing your chances of having an accident. It’s well worth setting off a few minutes earlier so you can schedule a break rather than skipping those fluids. So next time you’re planning a road trip, make sure you drink plenty of fluids in the hours leading up to the start of your voyage. Have a lunch that has a high water content such as a salad, a smoothie, or a bowl of soup. Take water with you in spill proof bottle and stop off regularly to visit the lavatory and perhaps stop for a rest, and a cup of coffee. Coffee is great for hydrating you and the caffeine will also help to prevent tiredness on your journey, which of course is also highly dangerous.